With over 900 million people using Messenger every month, Messenger is the place where you can connect with the people and businesses you care about most. You can also now do more than just send and receive messages. From sending your favorite emoji (ours are brand new) to chatting with businesses, getting your news delivered just how you like it or making a video call — there’s lots to experience on Messenger. Up until now, most inbox experiences haven’t kept up with the new ways people connect. So, we’ve been thinking about how we can make it simpler and easier to find what you want to start a conversation. We hope to show you other things happening on Messenger that you might be interested in, too. For example, with the Active Now section, you can see that a good friend or colleague is available in the moment. Maybe that will prompt you to say hi! We’re also adding helpful reminders like people’s birthdays so you can wish them a happy day. 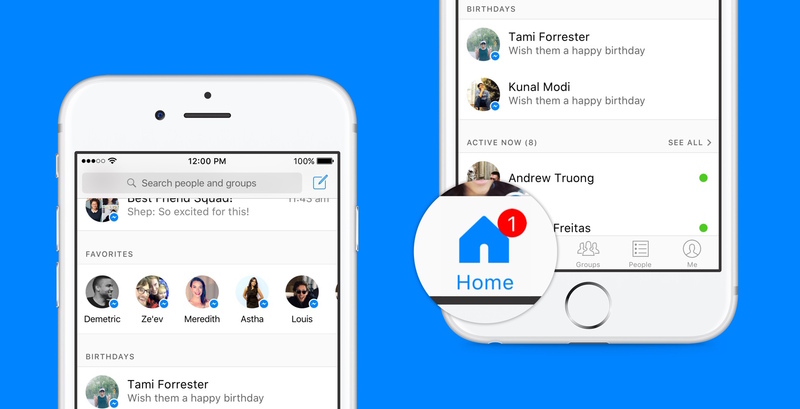 With these updates, we’re aiming to make Messenger simpler to use by presenting more relevant information. We look forward to building even more ways to make using Messenger better in the future.